Diagram showing dissection in a normal left ventricular myocardium with the longitudinal fibres running between the apex and mitral ring and occupying the subendocardial and subepicardial layers. In view of the preponderance of circumferential fibres, it seems logical to deduce underlying myocardial function from the extent and velocity of their shortening3; however, the picture of the underlying function reached from observing changes in left ventricular minor axis is at first sight surprising. Normal dimensions fall by 25–40% during ejection, while the normally loaded sarcomere shortens by only 10–12%.4 Furthermore, this remarkable fall in minor axis is the result of thickening of the posterior wall to an extent much greater than would be expected from simultaneous inward movement of the epicardium.5 This apparent increase in myocardial mass that must underlie the observed extent of thickening can only be explained by concurrent shortening, and thus transverse thickening, of the longitudinally directed fibres. Without this longitudinal component, normal sarcomere shortening would lead to a shortening fraction of 12% and an ejection fraction of less than 30%. Thus, even normal changes in minor axis with ejection can be explained only on the basis of the combined action of the circumferential and longitudinal fibres.6 This suggests that the function of the latter might well be worth considering in its own right. The ventricular long axes both run from the apex to the base of the heart. The apex is clearly defined anatomically; the exact point used to locate the base has varied in different studies, but the most convenient has been the atrioventricular rings.7 It is possible to consider points around them separately—for example, septal and left ventricular or right ventricular free wall or to take a mean value. Long axis measurements can thus be made using any imaging method that demonstrates the ventricular cavity. Furthermore, it was demonstrated more than 60 years ago by Hamilton that the cardiac apex is fixed with respect to the chest wall.8 It follows that changes in long axis are actually measured by changes in the position of the atrioventricular rings or planes. As single structures, their position can be followed directly by M mode echocardiography (fig2)7 and their velocity determined directly by Doppler.9 It is, however, essential that both quantities are determined either with velocity estimated by differentiating M mode traces, or amplitude calculated as the time integral of velocity. In addition, it is essential that the timing of aortic and pulmonary valve closure be recorded.10 The long axis passes from the fibrous apex to the fibrous atrioventricular ring. Unlike with the minor axis, the extent of long axis shortening is not modified by changes in the minor axis. Measurements are thus simpler to interpret than those of the minor axis. Normal long axis M mode of the left site of the left ventricular free wall with a superimposed ECG and phonocardiogram. Vertical line represents A2, aortic valve closure sound. Early cineangiographic studies by Rushmer et alindicated that the long axis normally shortens by 10–12% with ejection at the same time as the minor axis falls by 25%.11 12 This asymmetry leads the cavity shape to change and become noticeably less spherical. More detailed observations using the superior repetition rate of M mode echocardiography demonstrate that shortening of the long axis begins during the period of isovolumic contraction, causing cavity shape to become more spherical.10 The fact that this difference can occur demonstrates that long axis function is subserved by anatomically discrete fibres from those supporting the minor axis, rather than the possibility that function in the two directions might merely represent circumferential and longitudinal components of a homogenous set of fibres arranged obliquely. During ejection, the two axes are effectively in phase with one another. Peak long axis shortening occurs at A2 or aortic valve closure, while minor axis falls by a further 1–2 mm reaching its minimum at the time of mitral valve cusp separation. During ventricular systole, long axis function has a major role in maintaining normal ejection fraction and associated changes in left ventricular cavity shape. However, it also has an impact in determining atrioventricular interactions as the motion of the two valve rings towards the cardiac apex during ventricular systole has the effect of correspondingly increasing the capacity of the two atria as their floors move downwards. This increase has a number of effects. Atrial volume increases, and atrial pressure falls, a combination that can only be the result of external work on the atrium and not of any passive effect. Blood is thus drawn into the atria from the caval and pulmonary veins,13 thus providing a mechanism for forward systolic flow in both. Even so, the volume of blood entering does not necessarily compensate for the increase in capacity, so atrial pressure falls, the origin of the “X” or systolic descent in the venous pulses.14 15 This effect of left ventricular systolic function should be considered when deductions are made about the diastolic behaviour of the left ventricle from the pattern of pulmonary venous flow, particularly when the ratio of systolic to diastolic velocities is considered. Traditional teaching is that the atria have pump, conduit, and reservoir functions, so that they are effectively passive throughout the cardiac cycle until the onset of atrial systole. This does not take into account atrioventricular interactions mediated by the long axis. During ventricular systole the atrium is subject to external work from the ventricle, while during early diastole a portion of this is transferred back to the ventricle, and some of the remainder coupled to blood flow from the pulmonary veins. The atrium can therefore be regarded as behaving passively only for a short period during diastasis. The volume of blood in the atria falls with atrial systole but the mechanism by which it does so is not the same as that of the ventricles. During ejection, ventricular volume falls because of concentric inward motion of the endocardium around the cavity. However, the lateral walls and back wall of the atrium are fused to the mediastinum and the dominant mechanism by which atrial volume falls is by motion of the atrioventricular rings away from the ventricular apex18 with the addition of backward motion of the aorta contributing to the left atrium. This motion of the atrioventricular rings is brought about mainly by the contraction of pectinate muscles, which are inserted into it.19 At the same time the associated development of tension in the atrial wall increases pressure within the cavity, thus leading to the development of an atrioventricular pressure gradient. Backward motion of the atrioventricular rings thus increases ventricular volume independent of blood flow. At the same time, passive longitudinal stress within the left ventricular wall is counterbalanced so that cavity pressure falls. This contributes a ventricular component to the atrioventricular pressure gradient. Finally, the atriogenic increase in ventricular volume during atrial systole is accommodated asymmetrically, primarily by distension of the long axis. If the effects of the atrial “kick” on ventricular function are indeed a manifestation of Starling’s law,20 it is clear that the effect must be almost confined to longitudinal function. Although longitudinally directed fibres comprise only a small portion of the overall myocardial mass, they affect cardiac function in ways that differ significantly from the more abundant circumferential ones. Their contribution to the overall systolic work of the left ventricle is probably small. However, in determining the relation between muscle and pump function, mediating important atrioventricular interactions in both systole and diastole, and in expediting blood flow in the great veins, their contribution appears significant. We believe that the contribution of long axis function to normal cardiac physiology deserves more attention than it has hitherto received in the literature. We thank Miss Christine O’Sullivan for providing fig 1. (1976) An anatomical disputation concerning the movement of the heart and blood in living creatures. [Whitteridge G. Translation.] (Blackwell Scientific Publications, Oxford), pp 32–37. (1971) Mean velocity of fiber shortening—a simplified measure of left ventricular myocardial contractility. Circulation 44:323–333. (1975) Regional differences in myocardial performance in the left ventricle of the dog. Circ Res 37:191–199. (1918) The functional anatomy of the heart. BMJ i:361–363. (1967) Movement of the mitral ring: a study in ultrasonography. Circ Res 1:121–131. (1932) Movements of the base of the ventricle and the relative constancy of the cardiac volume. Am J Physiol 102:559–565. (1993) Quantification of the motion of the cardiac base in normal subjects by Doppler echocardiography. J Am Soc Echocardiogr 6:166–176. (1952) The functional anatomy of ventricular contraction. Circ Res 1:162–170. (1961) Instantaneous dimensional changes of the left ventricle in dogs. Circ Res 9:110–119. (1988) Mitral annulus motion: relation to pulmonary venous and transmitral flows in normal subjects and in patients with dilated cardiomyopathy. 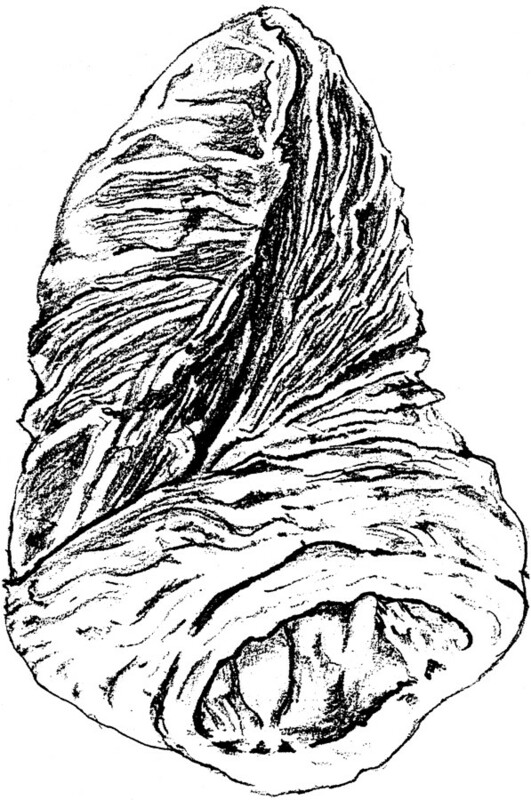 Circulation 78:621–629. (1958) Hemodynamic considerations in mitral regurgitation, P Proc. Staff Meeting. Mayo Clin 33:517. (1963) Functional anatomy of the cardiac pumping. in Handbook of physiology, section 2 (circulation). ed Hamilton WF (Williams & Wilkins, Baltimore), 2:759. 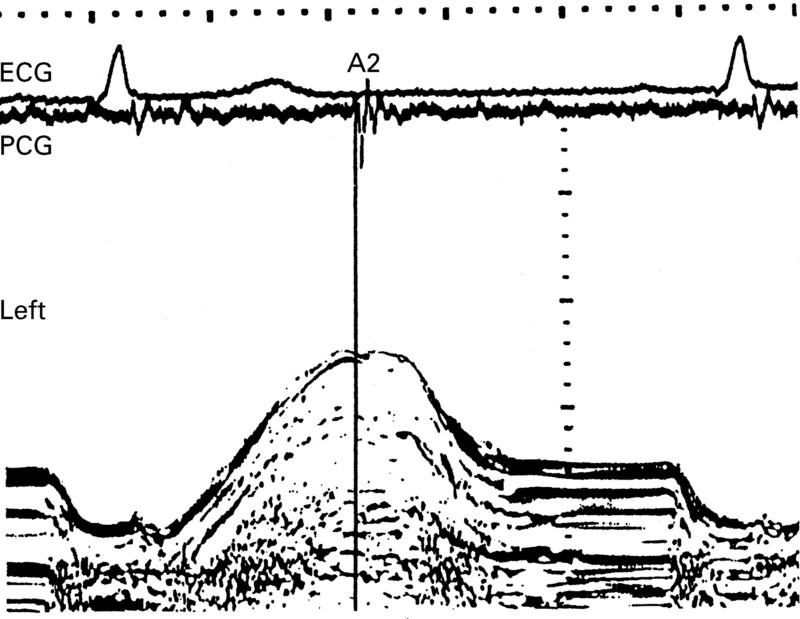 (1985) Determination of parameters of left ventricular diastolic filling with pulsed Doppler. Comparison with cinangiography. Circulation 71:543–550. (1989) Fluid dynamics model of mitral valve flow: description with in vitro validation. J Am Coll Cardiol 13:221–233. (1991) An echocardiographic assessment of atrial mechanical behaviour. Br Heart J 65:31–36. (1977) Myocardial performance. in Recent advances in cardiology. ed Hamer J (Churchill-Livingstone, London), pp 285–314. Long axis function in disease will be the subject of an editorial in the next (March 1999) issue ofHeart.